Unspotted Saw-whet inhabits the high elevation montane forest meadows and farmlands of Central America. Originally described from Costa Rica, today it is a difficult find. This is a very sought after species along its entire range from Chiapas in Southern Mexico to Western Panama. Thought to be resident, it is found mostly above 8,000 feet in elevation although records exist in Guatemala from as low as 4,600 feet. An unsociable species, the Unspotted Saw-whet Owl is mostly non-vocal except during a short breeding season. Closely related to the Northern Saw-whet Owl, it has been suggested that Unspotted Saw-whet Owl evolved after crossing the Isthmus of Tehuantepec in Mexico (the narrowest strip of land between the Pacific and Caribbean), subsequently became isolated and non-migratory. Below you can find photos, sounds, description, and information on this poorly studied and rarely seen species of owl in Central America. There are no audio recordings at this time. Historically, Unspotted Saw-whet Owl has been considered a species that dwells in the high elevation forests. This may still be true although the small amount of research that has been done in Costa Rica seems to indicate something different. In general, this species is being mostly recorded in very large clearings, farm land pastures, fields with sparse trees or small groups of trees. Most of the sightings are also at very high elevations above 9,200 feet. Unspotted Saw-whet Owl is a small plump owl with a large head much like its closely related cousin, the Northern Saw-whet Owl. Early researchers thought these were potentially just juvenile Northern Saw-whet Owls since the adult plumage vaguely resembles the juvenile plumage of the Northern Saw-whet. The Unspotted Saw-whet Owl lacks any of the adult white backside markings of the saw-whet and is uniformly brown above. It also lacks the white marking on its head, which is uniformly warm brown, yet it may show some buffy streaks on its forehead. Females tend to have more white in the face than the males do. Lacking ear tufts its facial disk is a warm brown with a whitish border and broad white eyebrows. It chest and underparts are a brownish yellow or light orangey brown in color. Its legs (tarsis) are feathered and feet almost to its talons. The Unspotted Saw-whet Owl is very closely related to the Northern Saw-whet Owl. The common name derives from their similarity, characterizing that the Unspotted Saw-whet Owl is missing the white spotting of the Northern Saw-whet Owl. 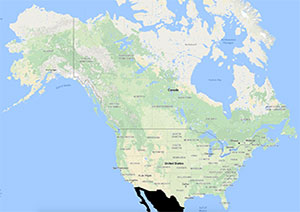 The Aegolius genus has four species, three of which live in North and Central America (Boreal, Northern Saw-whet, and Unspotted Saw-whet Owl) with one additional member in South America (Buff-fronted Owl). 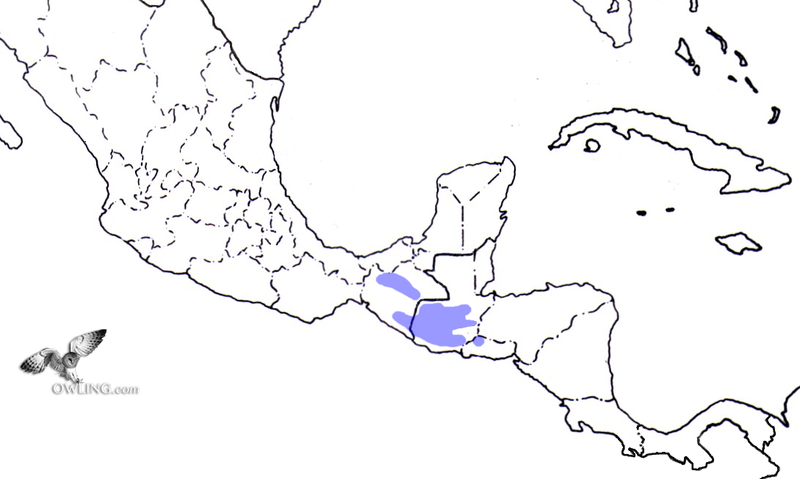 Although the Unspotted Saw-whet Owl has no overlap in range with the Northern Saw-whet Owl has been suggested that the species evolved from the Northern Saw-whet from individuals that had crossed the Isthmus of Tehuantepec in Mexico and became isolated and non-migratory. There are three questionable races defined. 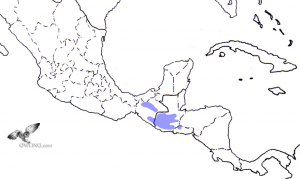 These include the nominate race from Costa Rica and Panama, with an additional race from Chiapas in Mexico and a third from Guatemala, Honduras and El Salvador. The latter two races come into question since they were described on the basis of single specimens. Almost nothing is known about this species. Its behavior and ecology is largely conjecture. It is thought to be a cavity nester, in old woodpecker holes, that lays 5 to 6 eggs, although no convincing records exist. 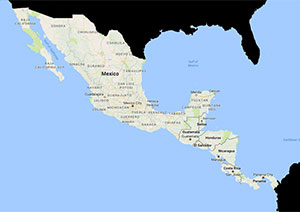 Peak vocal periods are concentrated from September to December in Costa Rica, November to February in Guatemala, and March in Chiapas. It is a nocturnal species (active at night). Mexico has listed this species as “endangered”. 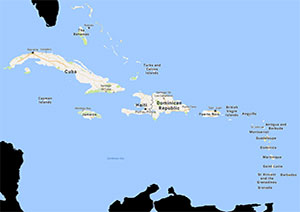 Birdlife international lists the species as “near-threatened”. 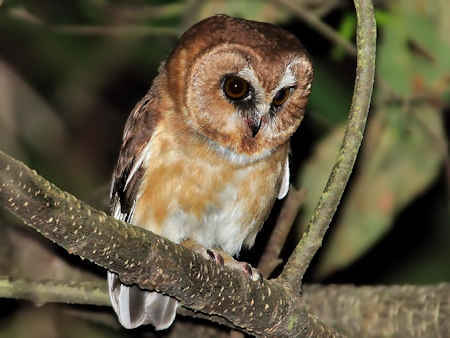 Recent reports of the owl being found in farmlands and un-forested highlands from Costa Rica could lead to the assumption that deforestation may not cause a severe decline of the species. There is not enough research to support this assumption. 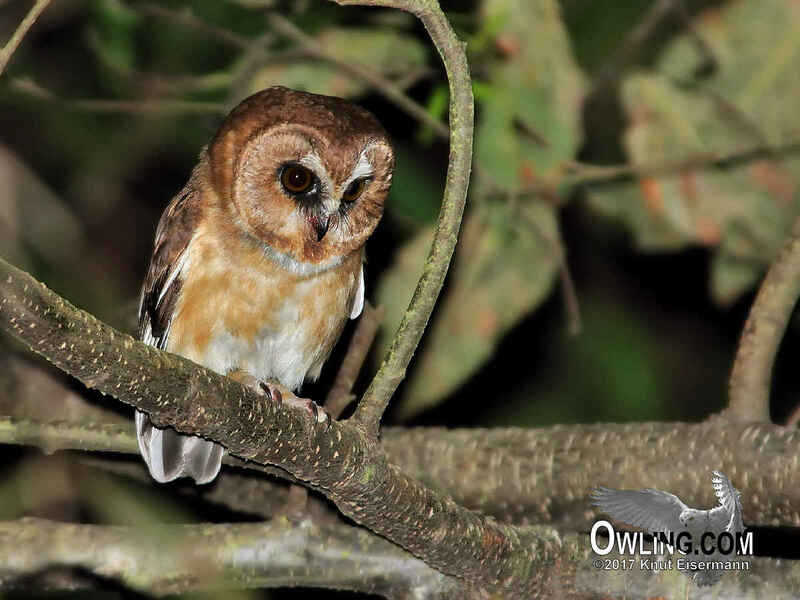 Since these un-forested areas are adjacent to forested habitats there is just not enough known about this species to know how the forests are involved in the ecology and life history of the owl. We have had encounters with this owl from within forests. Certainly, for a species that almost nothing is known about with disconnected populations and few reports, the Unspotted Saw-whet Owl deserves attention.